Sri Lanka Telecom (SLT) yesterday announced the appointment of Rohan De Silva to its Board as an Independent Non-Executive Director with effect from 30 December. Rohan currently heads the McLarens Group as Chairman/Managing Director. He counts over 40 years of experience in management in the mercantile and government sector. He specialises in shipping, marine and hotels business processes and management with wide knowledge in aviation services and management and an in depth understanding of the complexities of aviation processes. 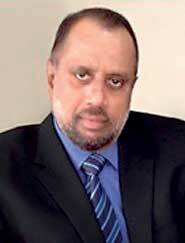 At present Rohan is also the Honorary Consul for the Republic of Namibia in Sri Lanka, Advisor to the Shippers Academy, Colombo, Member of the Ceylon Association of Ships Agents Advisory Committee and Director of the National Engineering Research and Development Centre of Sri Lanka. The Secretary to the Treasury owns a 49.50% stake in SLT whilst Malaysian-owned Global Telecommunications Holdings NV owns a further 45%. With the latest change, the Board of Directors of SLT Plc comprises of Chairman P.G.K. Sirisena, W.K.H. Wegapitiya, G.D.C. Ekanayake, N.S.A. Pieris, J.R.U. De Silva, C.C. Beng, J.J. Blatt, L. Paratz and L.C. Foong.